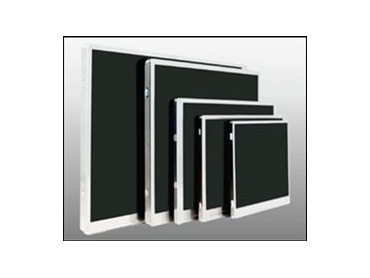 Working closely with Emerging Display Technologies (EDT), Glyn High-Tech Distribution have developed a family of TFT displays of verying sizes (currently 3.5”, 4.3”, 5.0”, 5.7” and 7”) and resolutions (from 320x240 to 800x480). The family of TFT displays are compatible with one another, have a common interface and have long-term availability of up to 7 years, providing customers with peace of mind regarding continuity of supply. The TFT Family Concept includes modern user interface with touch panel option, flexibility and simple upgrade path, power efficiency with LED backlighting, cost efficiency with a single common interface and minimised noise level with smart PCB design. The TFT displays feature a custom GLYN board on the reverse side to ensure all displays have identical interfaces. All displays in the TFT family will feature LEDs for backlighting that can easily be dimmed using analogue means or via PWM. All signals are received via one cable and only a single 3.3V is required to be supplied to the display with all the other voltages to be internally generated in the custom GLYN board.